The methylmalonic acid urine test measures the urine methylmalonic acid level. What is a methylmalonic acid urine test? Why is a methylmalonic acid urine test important? The methylmalonic acid urine test is helpful in checking for a B12 deficiency. This Methylmalonic Acid Urine Test is a urine test. The methylmalonic acid urine test, also known as a methylmalonate urine test, checks the urine methylmalonic acid levels. To get a methylmalonic acid urine test simply order online and get your urine tested at the local lab. 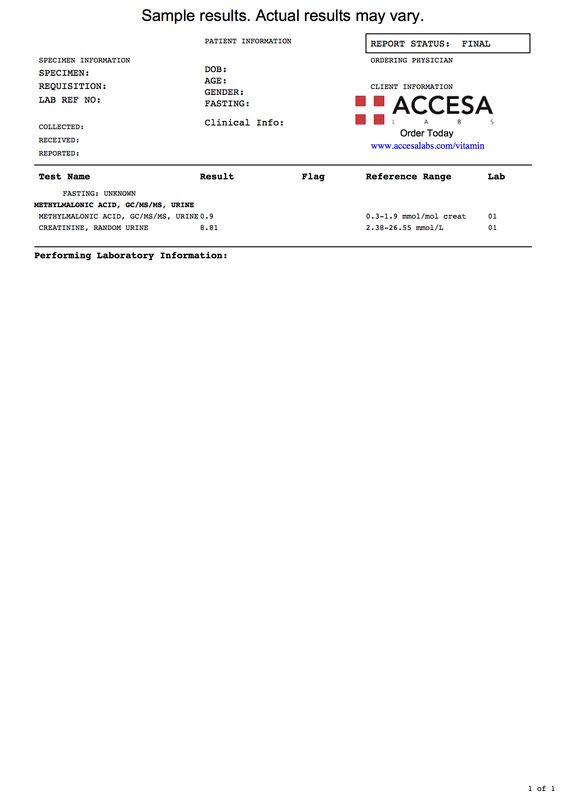 Once your methylmalonic acid urine lab results are ready, they will be available for download. For the serum version of the methylmalonic acid test, check out the methylmalonic acid blood test. Methylmalonic Acid Urine Test at Guaranteed Prices.